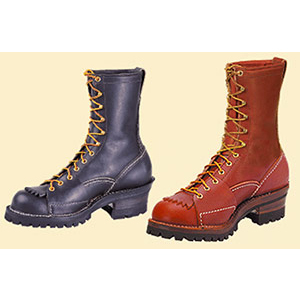 These top quality, handmade boots feature stitch down construction. The craftsmen use hand assembling methods that result in a boot that will wear longer and be more comfortable. Other sizes and styles are special order. A 50% deposit must accompany the order. Standard sizes - 7 through 12, D and E width.